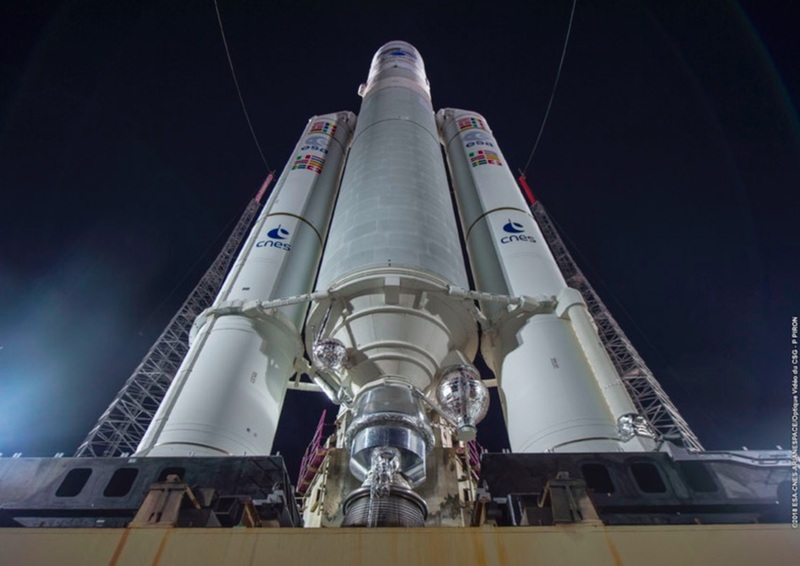 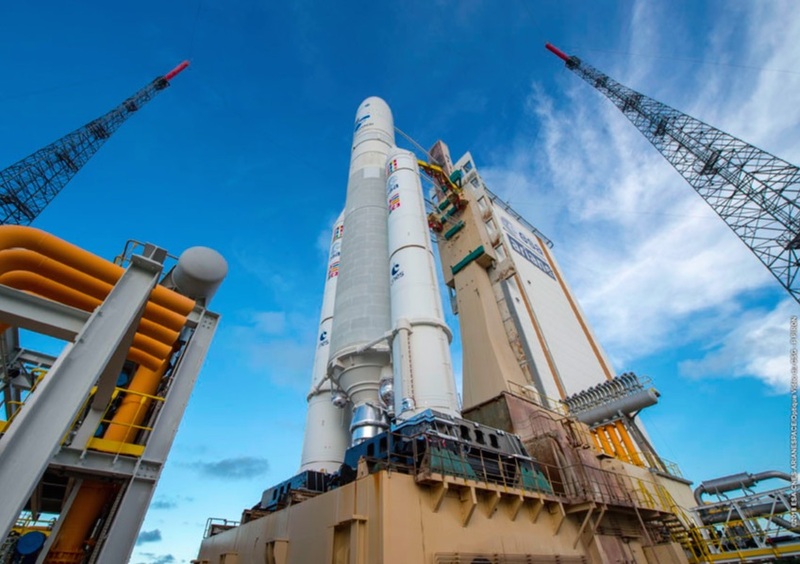 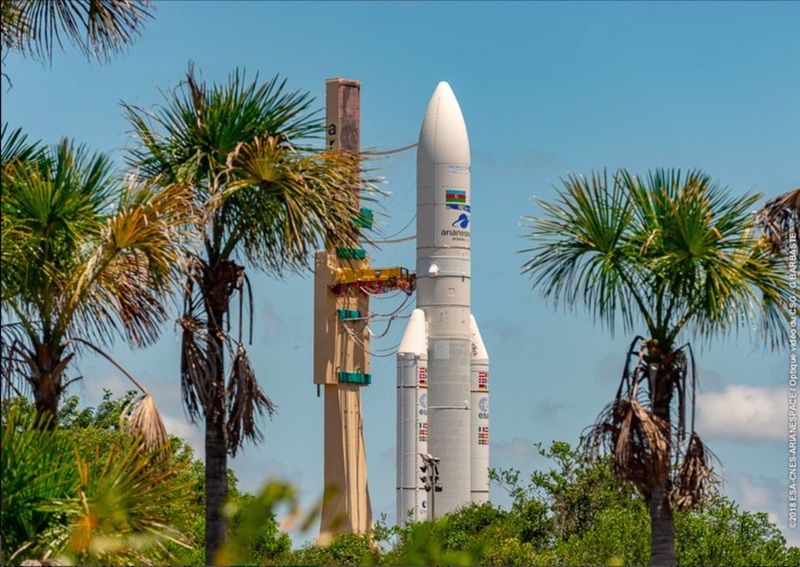 What’s special about Tuesday’s mission is that it will be the 100th launch of an Ariane 5 rocket since the European heavy-lifter debuted in 1996. 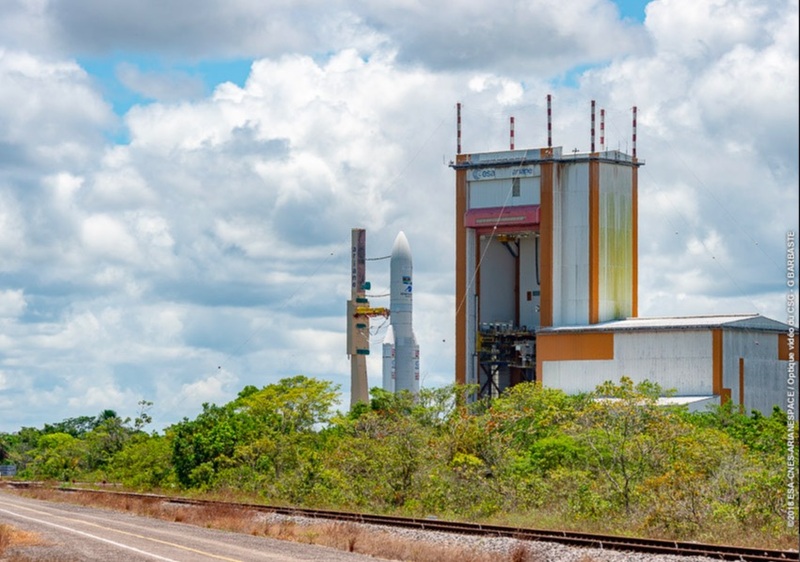 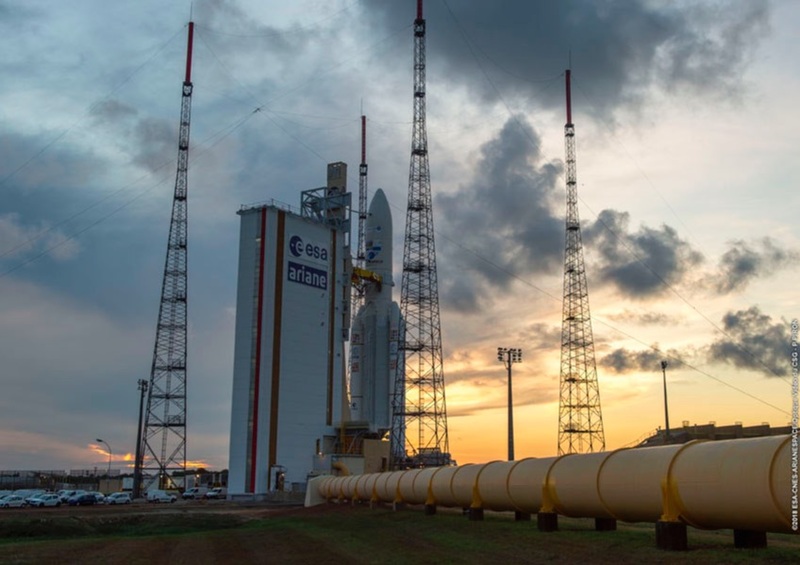 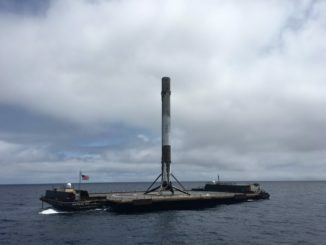 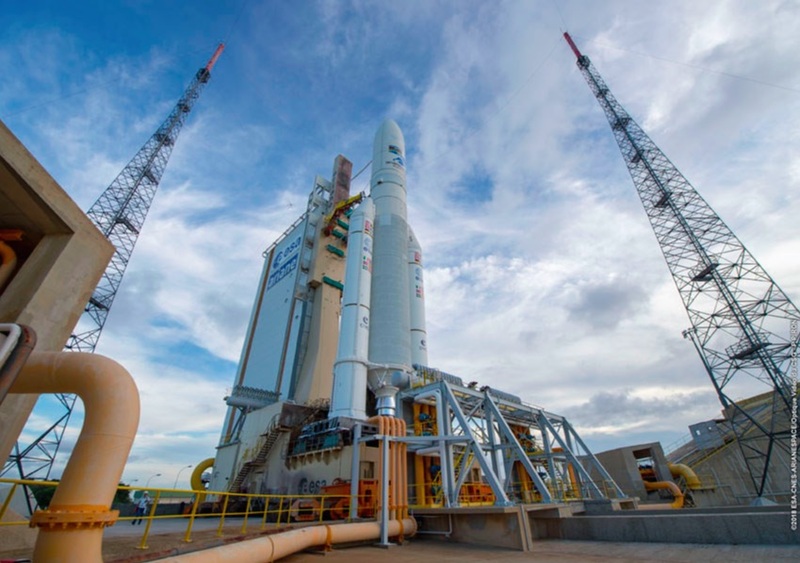 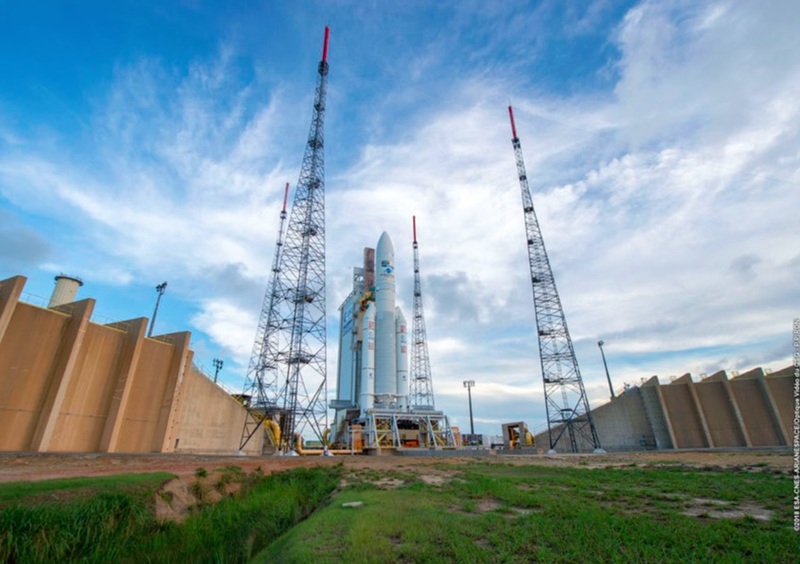 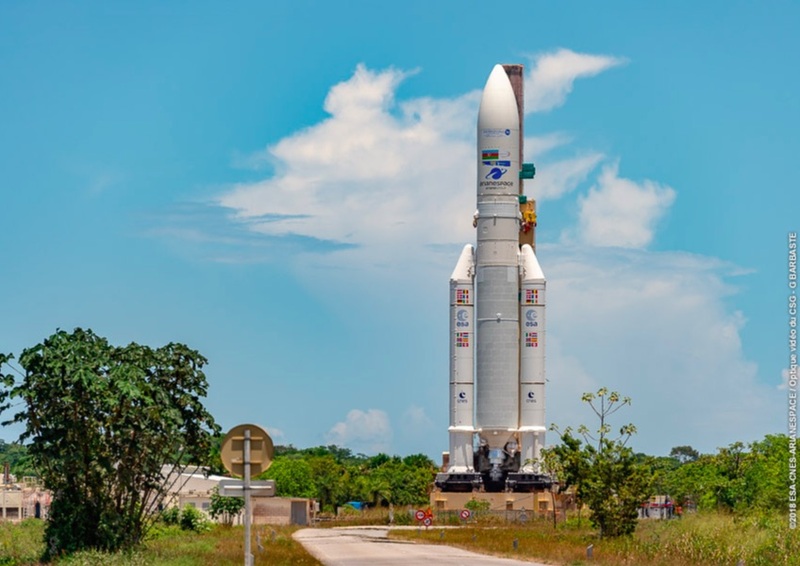 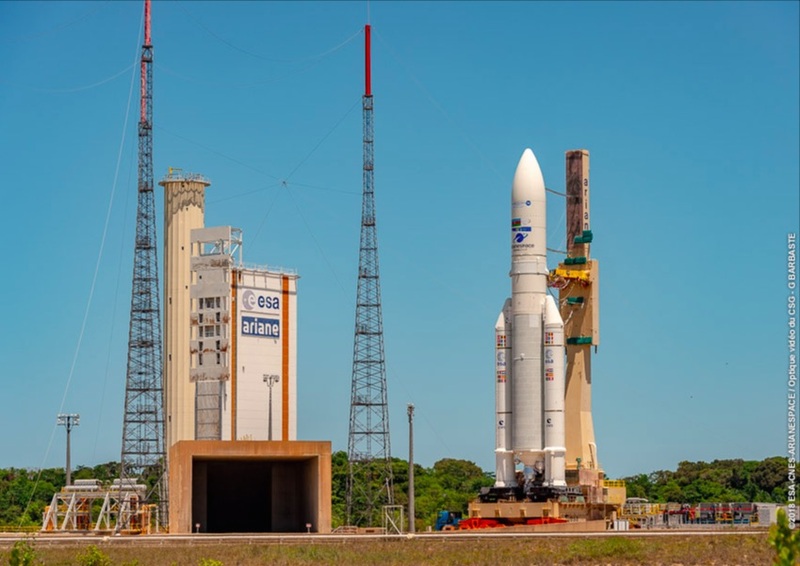 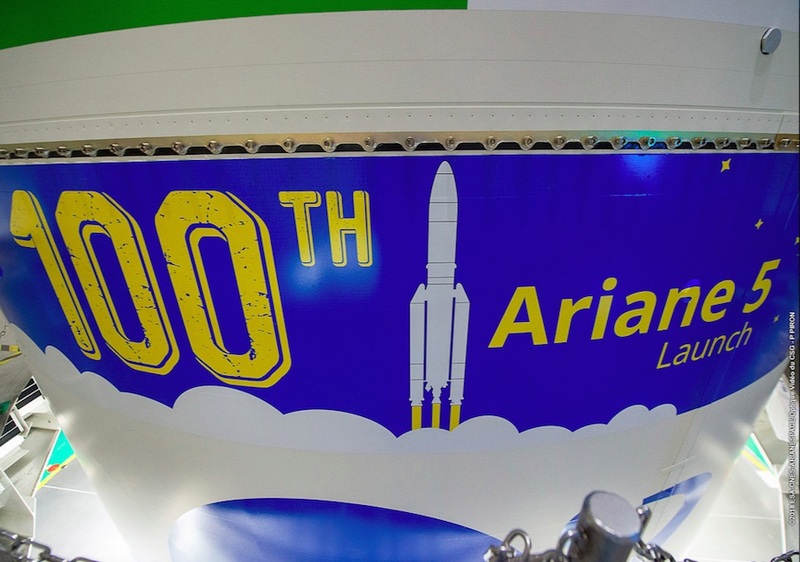 It will also be the 300th mission managed under the auspices of Arianespace, which has overseen launches by the Ariane family of rockets, in addition to Soyuz and Vega rocket flights. 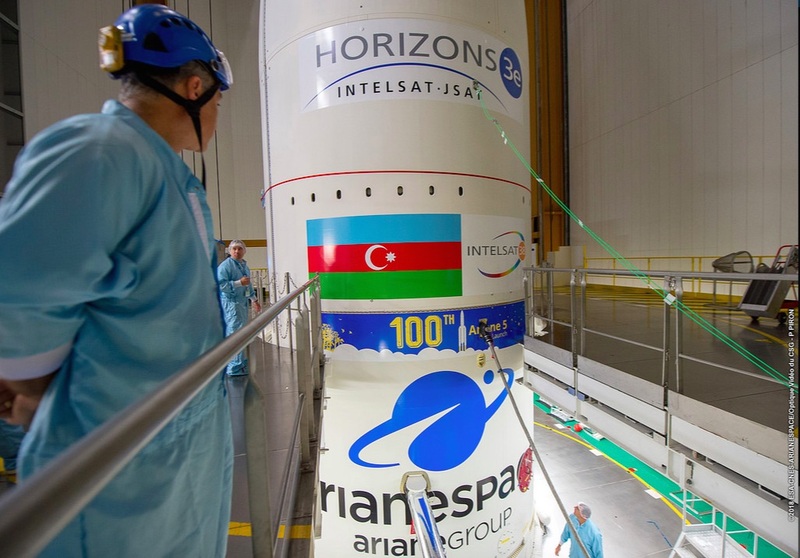 Two U.S.-built communications satellites are fastened on top of the Ariane 5 rocket — the Horizons 3e broadband satellite developed under a joint venture between Intelsat and SKY Perfect JSAT of Japan, and the Azerspace 2/Intelsat 38 television broadcast payload, a “condosat” with capacity shared by Azerbaijan’s national satellite operator and Intelsat. 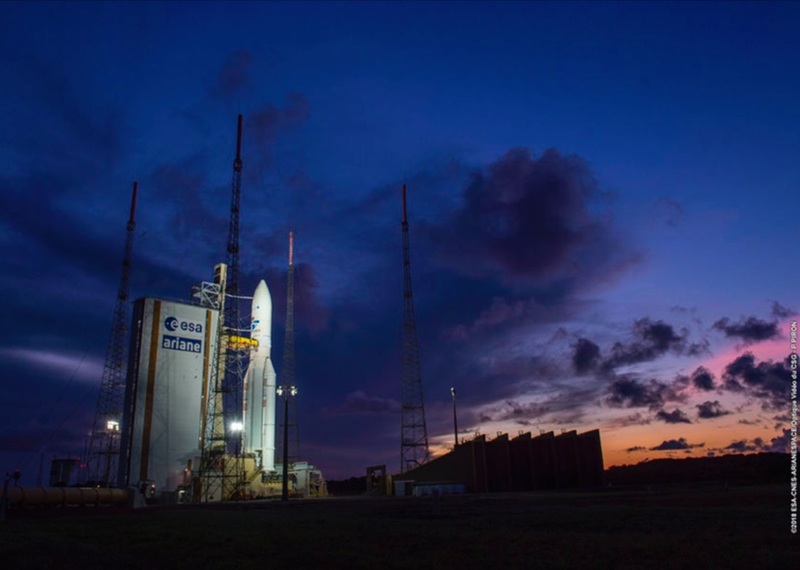 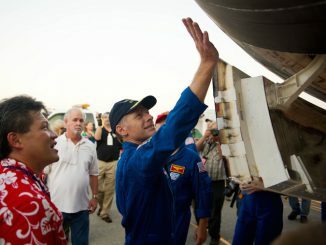 Read our Mission Status Center for details on the mission and live coverage of the launch.